KILAUEA (BIVN) - The supply of fresh lava to the June 27th flow may have ceased, while the southeast moving flow continues towards Pūlama pali. Gologist Tim Orr talks about the floor of Puʻu ʻŌʻō. HAWAII VOLCANOES NATIONAL PARK – The June 27 lava flow may no longer be active, while the other lava flow on the east flank of Puʻu ʻŌʻō has traveled nearly two miles to the southeast, halfway to the top of Pūlama pali. 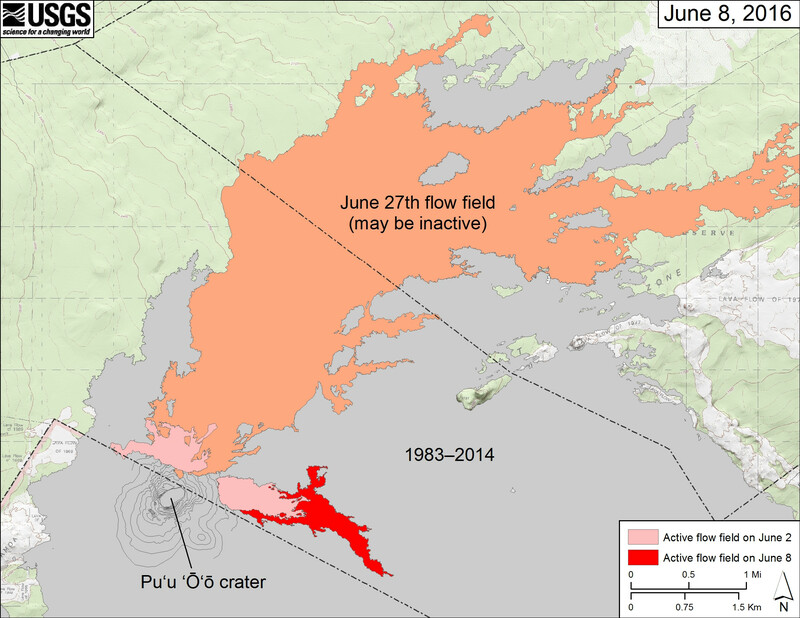 Meanwhile, the USGS Hawaiian Volcano Observatory says the slow subsidence of the Puʻu ʻŌʻō crater floor continues. The subtle drop is consistent with the very gradual deflationary tilt recorded by the Puʻu ʻŌʻō tiltmeter. Geologist Tim Orr talks about the subsidence of Puʻu ʻŌʻō floor in the video above, filmed last week. Since then, scientists have observed additional changes on the flow field. Of the two lava flows that broke out on May 24, only the pāhoehoe lava flow that emerged from the east flank was still active yesterday. The flow continues to advance southeast in the direction of the pali and – beyond that – the ocean. An HVO webcam has been deployed to monitor the new southeast flow. 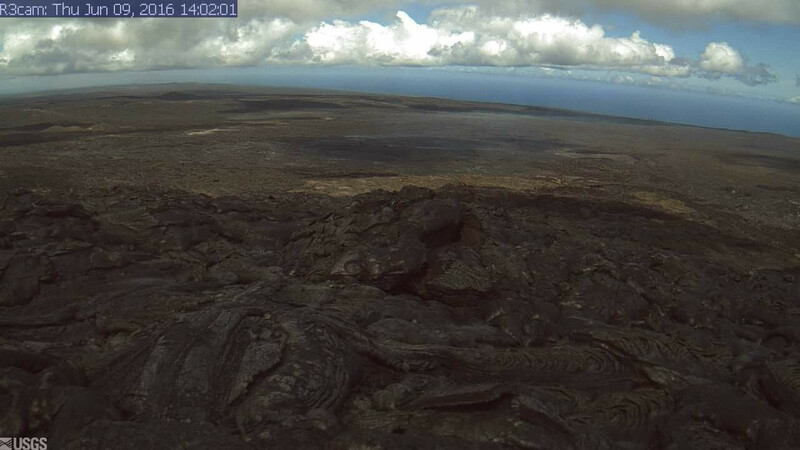 This USGS image is from a research camera positioned on the southeast flank of Puʻu ʻŌʻō, looking toward the active flow advancing to the southeast. The breakout point is at the left edge of the image, and the mid-field skyline at the right is roughly coincident with the top of the pali. See it live here.